Laser capture microdissection (LCM) is a tool to isolate desired and/or less accessible cells or tissues from a heterogeneous population. 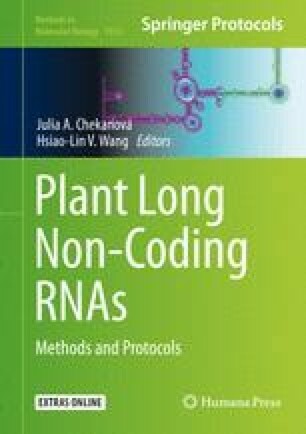 In the current method, we describe an efficient and cost-effective method to obtain both high-quality mRNA and miRNAs in sufficient quantity from LCM-derived plant tissues. The quality of the isolated RNA can be assessed using Bioanalyzer. Using modified stem-loop RT-PCR, we confirmed the presence of 21–24 nucleotide (nt) long mature miRNAs. This modified LCM-based method has been found to be suitable for the tissue-specific expression analysis of both genes and small RNAs (miRNAs). V.G., A.S., and S.S. thank the Council for Scientific and Industrial Research (CSIR), India, and the National Institute of Plant Genome Research (NIPGR), New Delhi, India, for funding and internal grants. V.G. and A.S. also acknowledge the Department of Biotechnology (DBT), India, for fellowship. S.V. thanks the Department of Science and Technology-Science and Engineering Research Board (DST-SERB), India, for National Post Doctoral Fellowship (N-PDF). A.K.S. thanks NIPGR and DBT (Project Grant No. BT/PR12766/BPA/118/63/2015), New Delhi, India, for fellowship and grants. The authors declare no conflict of interests.